The Queen’s College is a close-knit, friendly college located on the High Street in central Oxford. It admits around 70 graduate students a year across a diverse range of specialisms and offers a range of graduate scholarships – both via the University’s central schemes and directly through the College. To promote interaction between graduate students and Fellows, seminars are held jointly between the Middle Common Room (MCR) and Senior Common Room (SCR) twice a term. In recognition of the substantial support provided to students by University supervisors, the College hosts an annual supervisors’ dinner. The Tutor for Graduates looks after the academic welfare of graduates and all students have an additional college advisor, usually with expertise in a field related to their research. The following information for the academic year 2018/ 2019 provides an overview of charges and this information will be updated for the 2019/ 2020 academic year over the summer. Students gather at meals in Hall to socialise as well as dine. The College kitchen staff are keen to provide wholesome meals for all and cater for food allergies or intolerances. Most graduate students eat in Hall for some meals and cook any other meals for themselves. Dining in the evening, which is a served meal, requires advance booking online by 11 am on the day. Queen’s has dedicated accommodation for its graduate students. Although the College is unable to guarantee accommodation for all graduate students, for the academic year 2018 – 2019, Queen’s has committed to housing 70% of its single, commencing graduate students who apply for College accommodation no later than 1 June. The College also aims to house 50% of graduate students overall (those requiring single occupancy accommodation). 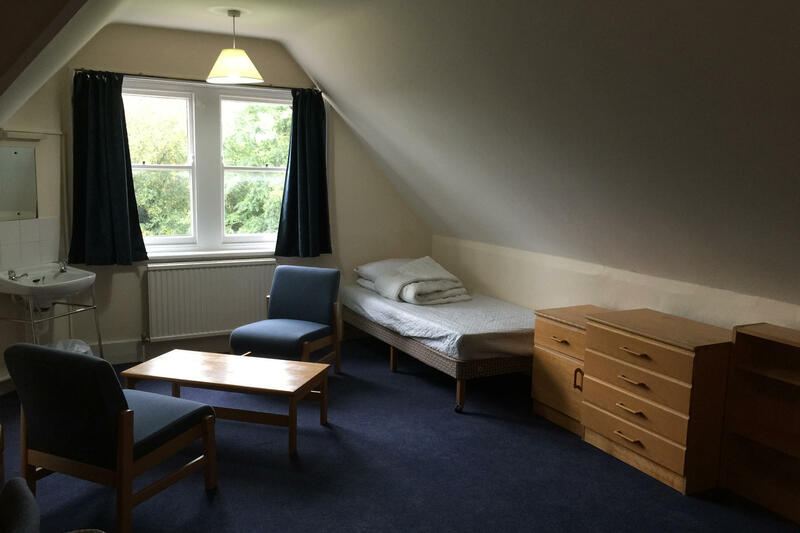 All graduate accommodation is off-site and the College has recently supplemented its housing provision for graduate students by renting a number of flats from the private sector and additionally supplied rooms through the University housing stock. Commencing students who have requested accommodation and paid their deposit to the College by 1 June will receive an email in the following weeks from the Domestic Bursar’s Administrator who will assign accommodation. Once the deadline has passed, the offers of accommodation will continue throughout the summer to include continuing students, until the supply is exhausted. 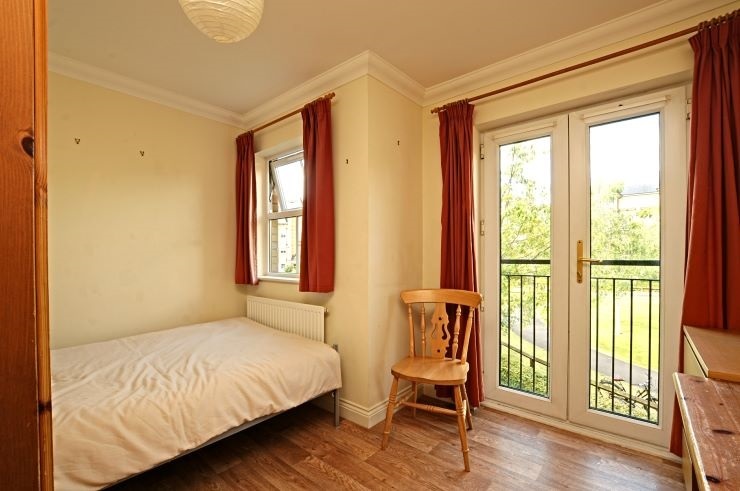 Graduate accommodation is offered at three different locations in Oxford; contractual process and lengths for each of the properties varies and is described briefly alongside each of the properties below. All students who wish to occupy College accommodation will be required to sign a ‘Licence to Occupy’ before keys will be issued for the room or flat. Smoking is not permitted inside any of the buildings, accommodation, cloisters or gardens except as designated. E-cigarettes and vaping may not be used in rooms. Car parking is not permitted for students at any of the College sites. College rules and further information can be found here. Oxley-Wright is a large Victorian house on Banbury Road, towards Summertown. There are 12 rooms in the building, all of which are for graduate students. The house has a large garden and offers a lovely living atmosphere. It is located at 116 Banbury Road, which is approximately a 20-minute walk from the city centre, a 10-minute walk to the shops and bars of the Summertown area, or a 5-minute cycle ride. There is also a 24-hour bus service, which stops directly across the road. It is considered a convenient location for the John Radcliffe Hospital. There are three bathrooms in Oxley-Wright, each shared between approximately four people. Both showers and baths are available. The kitchen is large, with plenty of standard cooking equipment and facilities. Machines for washing and drying clothing are available and charged per use. OW graduate rooms are provided on 40-weeks, 43-weeks or a 51-weeks continuous licence periods from the second week of September. Our Venneit Close accommodation offers 22 apartments, each with three study bedrooms, two toilet/bath or shower rooms, kitchen and dining/sitting room. Each flat has a domestic washing machine in the kitchen. The complex is located about a 10-minute walk from the city centre and a 20-minute walk (10-minute cycle ride) from Queen's. It is near Port Meadow and Jericho and not far from the railway station, which has good bus connections to the rest of Oxford. Please see image gallery here. Queen's has rented these furnished apartments from the private market and they are in a lovely condition. Car parking is not allowed at the site, but there is plenty of covered bicycle parking and there are beautifully maintained communal gardens. This large complex accommodates many students from the University of Oxford and Oxford Brookes University. The contract for each of these properties are provided on 40-weeks, 43-weeks or a 51-weeks continuous licence periods from about the second week of September (subject to change). Many graduate students live out and do not need permission to do so. We are unable to offer couples or family accommodation. If you are in need of the latter, or simply wish to live out, we recommend you contact the University Graduate Accommodation Office who will help students with their search for private housing, free of charge. The University page on living in Oxford may be useful too. If you would like to discuss any disability affecting your accommodation needs please contact the Tutor for Graduates and the Academic Administrator so we can ensure we understand your needs. Queen’s welcomes students with disabilities and can cater for most requirements. In recent years the College has made improvements to its existing facilities in order to improve access for students with disabilities, including a lift to the new library, and level-access toilet facilities adjacent to the Hall for wheelchair users. The College recognises that not all disabilities are visible; candidates who are considering making an application are advised to contact the Tutor for Graduates in advance to discuss their specific needs. The focus of graduate life within College is the lively and international Queen’s College Middle Common Room (MCR), conveniently located in the Front Quad and boasting a comfortable and relaxed environment, complete with TV, DVD, Wii, Wi-Fi, daily newspapers and magazines. The graduate community is diverse, friendly, sociable and a range of activities, including exchange dinners with other colleges and film nights, are organised over the course of the year by the elected committee. Students can participate in the weekly guest dinners, music nights, tasting events, debates and discussions of research with the SCR, as well as partake of the regular cake and tea provided by the Student Welfare representatives. Queen’s has recently invested in a new library, a new auditorium, and new graduate study facilities on the main site. The College library is open 24 hours during term-time. The current lending library consists of around 50,000 volumes. The College also has a very large and diverse collection of rare books, comprising around 100,000 volumes. Wi-Fi is provided throughout the main site. Graduates have access to all college sports facilities including football, rugby and cricket pitches, tennis courts, a gym and a boathouse. Queen's has a strong musical tradition, with facilities to match. The chapel choir has established a reputation as Oxford’s finest mixed-voice chapel choir; The Eglesfield Musical Society, named after the founder of the College, is one of the oldest such societies in Oxford and organises a substantial series of concerts each year; facilities for individual and group rehearsal are available in two Music Practice Rooms, one equipped with grand piano and the other with upright piano and harpsichord.